Singer Impressionist Paul Tanner has amazed audiences from Las Vegas to Broadway and around the globe. At the age of 7, Paul did his very first impression and hasn't stopped since. His classical training at the Juilliard School of Music coupled with his natural ability turned Paul into a must- see music sensation. His show is jam packed with the music that made these artists so popular with added comedy and stories that make his performances show stoppers. His smooth delivery from one artist to another is seamless and leaves his audiences spellbound by his exact impressions. Paul has often been compared to "The Man of Many Voices", Danny Gains. 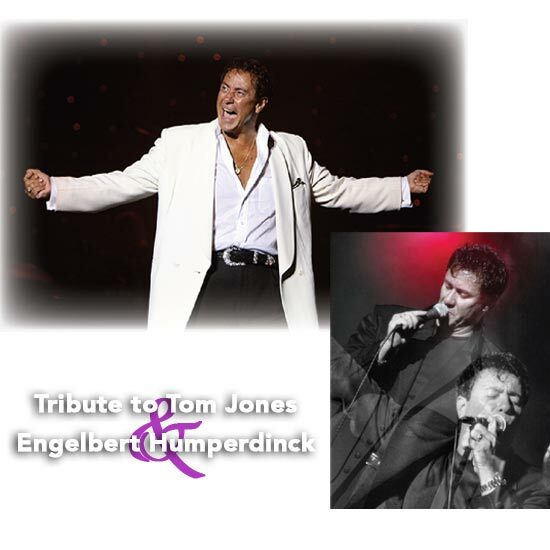 In this show Paul will do his high energy and outstanding impressions of Tom Jones and Engelbert Humperdinck as well as many of the most popular singers of our time. Paul always leaves his audiences asking for more and is now considered to be one of the best singer impressionists in the entertainment industry.